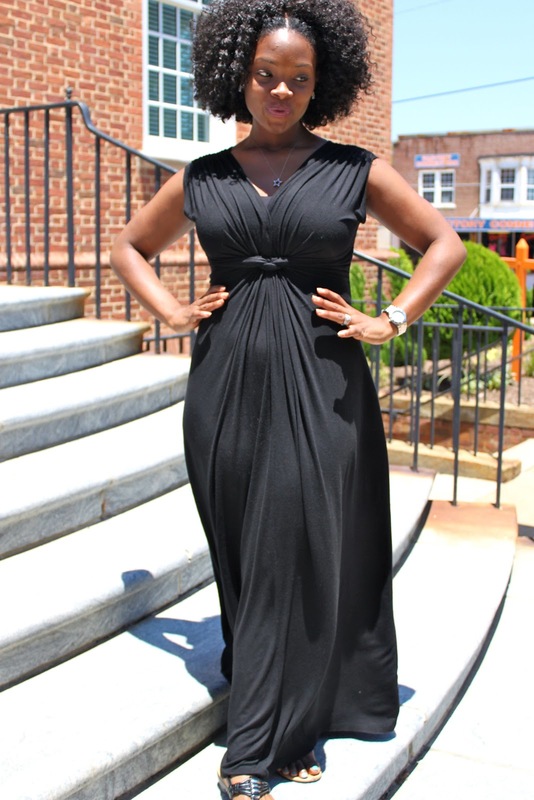 In a world where skinny jeans won’t button, bras don’t exactly fit and maternity capris sag in the knees…the best thing to do is throw on a black maxi! Everybody looks good in black right?! Plus, the comfort level of a dress wins every single time. You look lovely and comfy. I found a pattern for a similar dress. Now to buy fabric and get to sewing. That is too cute. 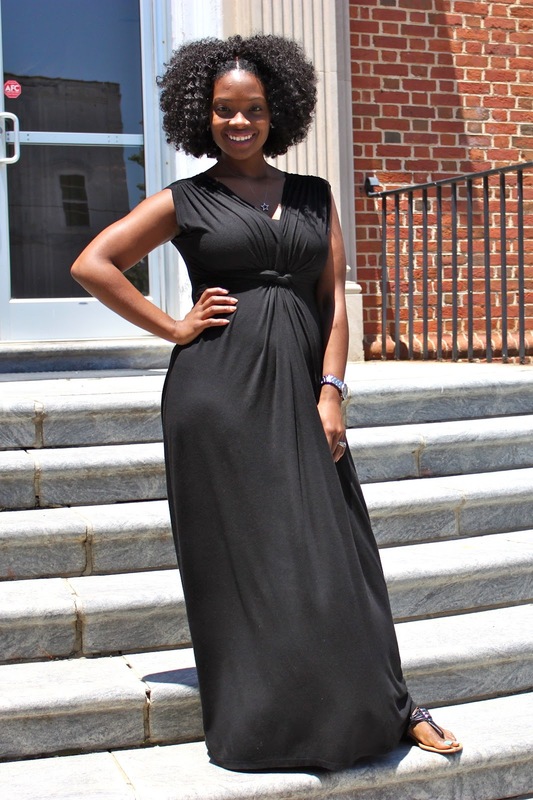 If I was your sister I would sneak in your closet and borrow that dress….lol…. That is too cute. I need some comfortable dresses like that to wear in the classroom this year.